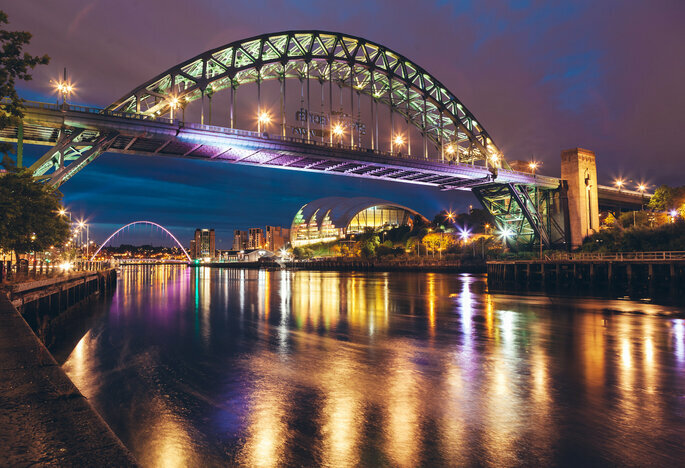 Newcastle: our glorious Angel of the North, known for its architecture, art, food, and of course, shopping. For such a dynamic city we can only expect it to be home to a varied selection of amazing wedding dress boutiques, featuring world renowned designers. Yes, Newcastle will answer your bridal prayers. You’ll be spoiled for choice when choosing the dress of your dreams here. We can’t speak about world leading designers without mentioning the obvious choice for many brides. Globally-recognised Pronovias began as a family business in Barcelona, 1922. It grew rapidly, from being frequented by high society brides who loved the Pronovias quality silk, lace and embroidery work, to dominating the market with consistently sumptuous designs. Now, The Pronovias Group has a presence in 75 countries, making it the leading bridal brand in the world. 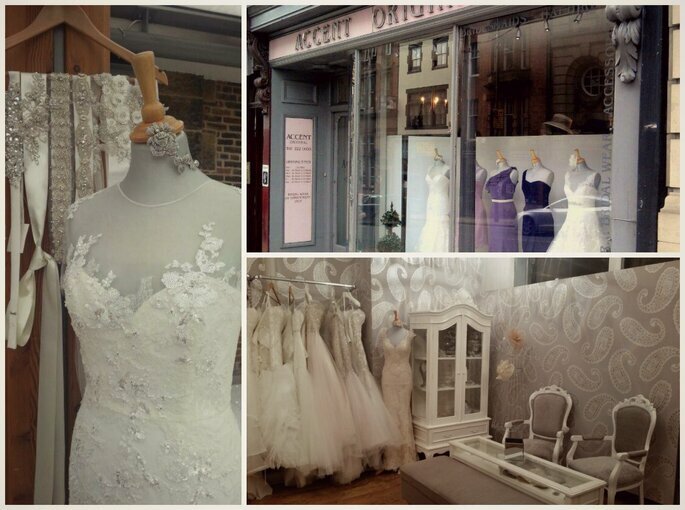 In the heart of the city of Newcastle, you’ll find the dreamy bridal wonderland otherwise known as Most Desirable. This exclusive stockist of Pronovias line, The White One, has everything you’ll need to really make a statement on your special day. Family-run Most Desirable Bridal is located in High Bridge Quarter, where you’ll be met by dedicated stylists who delight in helping you choose the perfect dress . 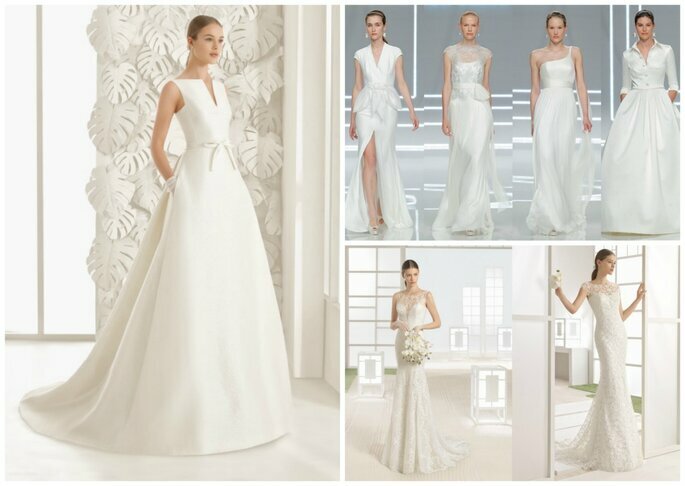 Find a variety of styles with mermaid, empire or princess cuts, all made with love by Pronovias. When we think of timeless elegance, Blue by Enzoani certainly comes to mind. This stunning line is intricately designed for the modern bride who also seeks the gorgeous authenticity of bridal tradition. Wow-factor dresses with an innovative style: Enzoani is the perfect blend of European trends. The intricate details and soft colours will make you swoon. Each dress is inspired by dreamy ancient Italian art and architecture. Enzoani has dressed many A-list celebs, you may remember the beautiful Enzoani gown that Kristen Stewart wore when tying the knot to Rob Patterson in the Twilight Saga. Find striking silhouettes and Hollywood glamour with Enzoani. You’ll be sure to find the most gorgeous Enzoani gown among other designers in Accent Original, a friendly and professional boutique on Mosley Street. It has consistently received 5 star reviews from brides around the city who have had a stress-free experience when choosing their dream dress, due to Accent Original‘s expert service. In just 21 years, the renowned Rosa Clará has gained worldwide prestige for continuously embellishing brides with elegant and modern designs. The aim of the international label is to make every bride feel one in a million, with effortlessly chic gowns. For 2017 Rosa Clará gowns, think delicate and light fabrics creating languid and fluid silhouettes, and other dresses with structured, voluminous skirts. Most of the gowns from the 3 lines, Rosa Clará, Rosa Clará Soft and Rosa Clará Two, have either a boatneck or off the shoulder necklines. “We turn your dreams into lasting memories,” say Y.A.P Bridal, which stands for You Are Precious. 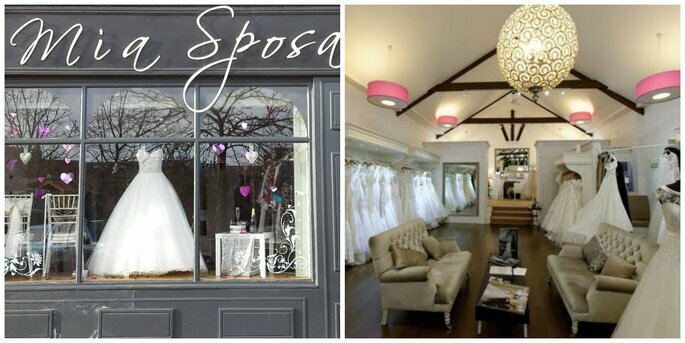 This award-winning store is elegant and uber-stylish, packed with the most sensational gowns for the modern bride, from renowned designers such as MoriLee, Maggie Sottero, and of course, Rosa Clará. Y.A.P seems to love Rosa Clará as much as we do, having carefully selected the best designs straight off the Barcelona runway. These art-deco inspired master pieces are made from sumptuous luxury fabrics for an elegant and feminine look. Think silk mikado, airy tulle, chiffon, and lace. Inspired by the 1950s and 60s timeless elegance, Justin Alexander is well known for making the finest vintage and couture wedding dresses, updated with a modern twist. With so many designs, there is a perfect dress for every bride. We love Justin Alexander so much that we have made a gallery of our favourite designs, click here. As a boutique at the forefront of the Newcastle bridal scene, it’s only fitting that Mia Sposa stocks numbers from all lines and collections by the Justin Alexander group: Signature, Lillian West and Justin Alexander. All featured designs in this store are simply sensational. Here, expect nothing less than a personal stylist, impeccable customer service, and a luxury gown to suit every bride. As well as Justin Alexander, Mia Sposa features exquisite gowns from Pronovias, Martina Liana and Mark Lesley, to name a few. Inspired by female sensuality, Tara Keely designs the most stunning silhouettes. Such dresses are fit for a princess; full, flowing skirts with layer upon layer of tulle; more understated designs with original details on the sleeves, neckline or back; awe-inspiring embroidered necklines. Each dress is designed to make you feel unique on such a momentous day, with an added touch of sophistication and elegance. We LOVE the Tara Keely collection for Spring/Summer 2017, designed by Lazaro Perez. It’s as sumptuous and enchanting as ever, creating the perfect blend of fashion-forward trends with timeless elegance. This attentive Newcastle boutique has a proud selection of hand-selected designs from Lazaro, Tara Keely Bridal, Hayley Paige and Madeline Gardner to name a few. Their chosen designs mix tradition with cutting-edge trends hot off the runways. Epernay Bridal is a glamorous bridal wonderland. What’s so special about family-run Epernay Bridal is that they close the shop for all appointments so that you can have a totally private experience, complete with a one-on-one consultation and a complimentary glass of fizz for you and your guests. So here you have it, everything you need to know when searching for your perfect wedding dress in Newcastle… you can thank us later! Leave your comments if you have anything to say about these top boutiques, and send us your #RealWedding photos! For more wedding dress inspiration, check out our galleries!